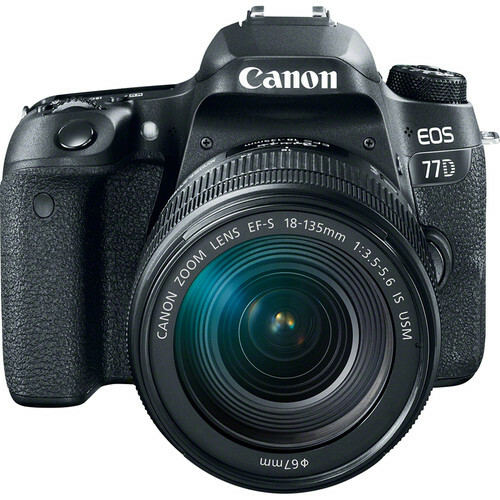 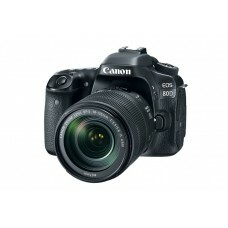 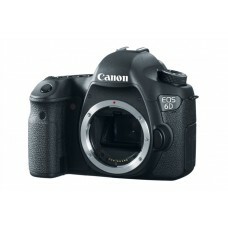 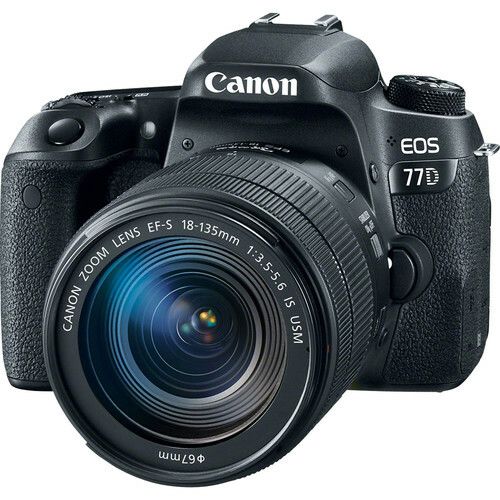 Canon EOS 77D and explore new ways of shooting. 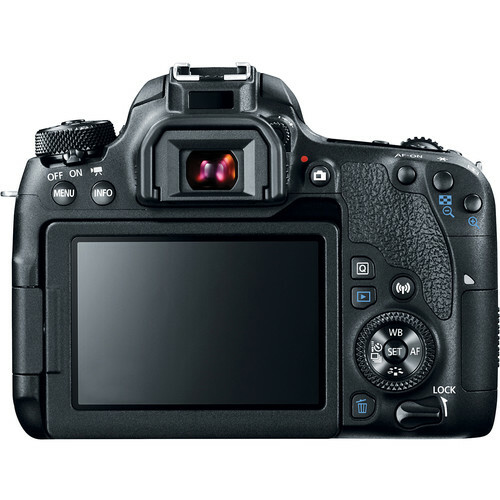 An EF-S 18-135mm f/3.5-5.6 IS USM lens lets you get closer to distant subjects than other standard zooms and is a great choice when you only want to take one lens out with you. 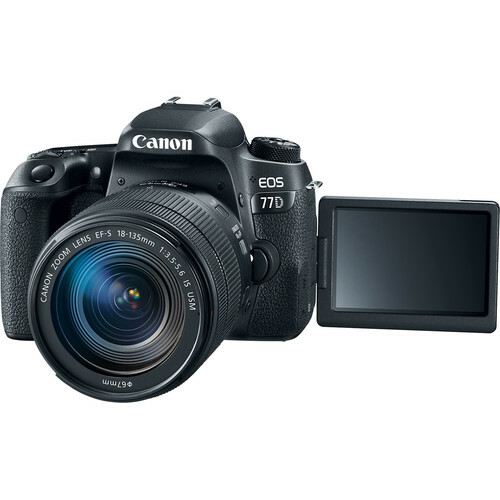 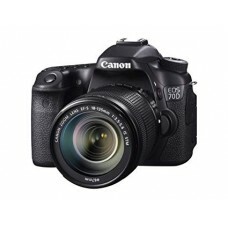 The world’s fastest Live View AF system¹ focuses in as little as 0.03 s and the EOS 77D can also capture six 24.2-megapixel images every second, so you’ll be ready for anything.This canon DSLR camera provides 01 year warranty.